Victim in the hospital and suspect behind bars. 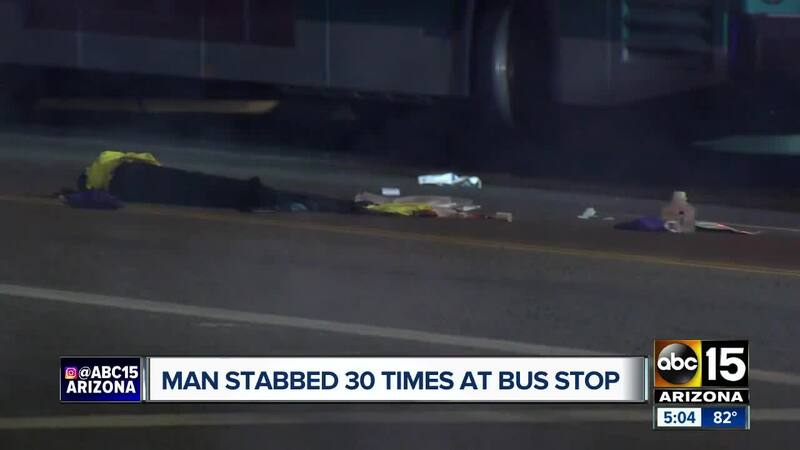 PHOENIX — A man was stabbed more than 30 times on a city bus in west Phoenix over the weekend, according to court paperwork. Around 2 a.m. on Sunday, 30-year-old Michael Angelo Smith exited a city bus near 43rd Avenue and Buckeye Road, along with the male victim. Smith then began to violently attack the victim with a switchblade knife, police report. Court paperwork also noted that the knife Smith used to stab the victim "sustained such force, it was bent backwards." The victim attempted to get back on the bus to escape from Smith, but Smith continued to stab the man, even after he fell down in the aisle next to the bus driver. Records state the victim was able to run away from Smith momentarily, but Smith ran into the road, tackled the victim, and continued to stab him. Multiple witnesses and the bus driver told police they saw Smith stabbing the victim, leaving "puddles of blood" in the street and on the bus. A Phoenix fire truck happened upon the scene without being called, and began to flash its lights and honk its horn at Smith, yet Smith continued to attack the victim, records stated. Firefighters later told police Smith was cutting the victim's neck in a "sawing motion" when they arrived on scene. When Phoenix police officers arrived, Smith attempted to re-enter the bus to run away. Officers were able to detain Smith before he got back on the bus, court records state. 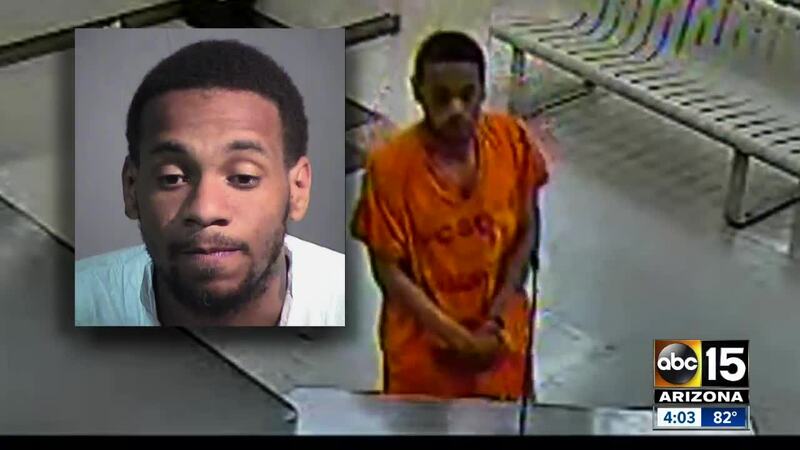 Smith is being charged with attempted second-degree murder. He's being held on a $250,000 bond. The victim is currently listed in serious condition.